We United Methodists are now in the midst of another General Conference. For my non-UM readers General Conference is the policy making body of global United Methodism which meets every four years. This year it is meeting in Portland, Oregon. Many things happen at GC-- worship, preaching, consideration of petitions and possible changes in the Book of Discipline (the Constitution of the UMC) et al. With all the festivities, meetings, and yes... some nonsense that will take place, one thing will happen this year that happens every four years-- our founder John Wesley will be misquoted and taken out of context the way cults twist Scripture. The one particular place where Wesley has been and will continue to be much abused is in reference to his use of the words "catholic spirit." This sentence is all too often proof-texted by those who don't know any better and haven't taken the time to investigate the reference because out of context it supports their doctrinal indifference. In his sermon entitled "Catholic Spirit," Wesley uses 2 Kings 10:15 as his text: When he left there, he met Jehonadab son of Rechab coming to meet him; he greeted him, and said to him, 'Is your heart as true to mine as mine is to yours?' Jehonadab answered, 'It is.' Jehu said, 'If it is, give me your hand.' So he gave him his hand. Jehu took him up with him into the chariot. It is impossible to go into much detail sorting through everything Wesley meant and did not mean by the catholic spirit. A good treatment of this is Randy Maddox's excellent article, "Opinion, Religion, and 'Catholic Spirit': John Wesley on Theological Integrity" (which can be accessed here). The purpose of this post is briefly to rebut the simple and unexamined view among many United Methodists that the catholic spirit refers to a vague kind of kum-ba-yah between Methodists regardless of what they believe about doctrine and social issues. Wesley clearly distinguished between opinions and doctrines: opinions were those beliefs and practices that did not strike at the heart of Christian identity; doctrines were those things essential to maintain the integrity of the Christian faith. Wesley never would have referred to the deity of Jesus, for example as a mere opinion. In what follows I am simply going to quote from Wesley's sermon on the catholic spirit to demonstrate that the catholic spirit is not a sentimental love fest between believers who have little in common other than that they believe in God and have their hearts strangely warmed. Though we cannot think alike, may we not love alike May we not be of one heart, though we are not of one opinion Without all doubt, we may. "If thine heart is as my heart," if thou lovest God and all mankind, I ask no more: "give me thine hand." When these quotes from the sermon are left to themselves, it's hard to deny that what we believe hardly matters. The problem is that when understood in their context the catholic spirit not only means certain things, it excludes things as well. The first thing implied is this: Is thy heart right with God Dost thou believe his being and his perfections his eternity, immensity, wisdom, power his justice, mercy, and truth Dost thou believe that he now "upholdeth all things by the word of his power" and that he governs even the most minute, even the most noxious, to his own glory, and the good of them that love him hast thou a divine evidence, a supernatural conviction, of the things of God Dost thou "walk by faith not by sight" looking not at temporal things, but things eternal? Dost thou believe in the Lord Jesus Christ, "God over all, blessed for ever?" Is thy heart formed by faith? Art thou employed in doing, "not thy own will, but the will of him that sent thee?" Father John assumes that to be of a right heart includes certain things and must, therefore, exclude others. But, second Wesley wants to make it clear what the catholic spirit is not; and in fact he recognizes how abused the terminology is in his own day (some things never change). He writes, There is scarce any expression which has been more grossly misunderstood, and more dangerously misapplied, than this: but it will be easy for any who calmly consider the preceding observations, to correct any such misapprehensions of it, and to prevent any such misapplication. ...a catholic spirit is not speculative latitudinarianism. It is not an indifference to all opinions: this is the spawn of hell, not the offspring of heaven. This unsettledness of thought, this being "driven to and fro, and tossed about with every wind of doctrine," is a great curse, not a blessing, an irreconcilable enemy, not a friend, to true catholicism. A man of a truly catholic spirit has not now his religion to seek. He is fixed as the sun in his judgement concerning the main branches of Christian doctrine. ...a catholic spirit is not any kind of practical latitudinarianism. It is not indifference as to public worship, or as to the outward manner of performing it. ...a catholic spirit is not indifference to all congregations. This is another sort of latitudinarianism, no less absurd and unscriptural than the former. But it is far from a man of a truly catholic spirit. He is fixed in his congregation as well as his principles. He is united to one, not only in spirit, but by all the outward ties of Christian fellowship. There he partakes of all the ordinances of God. There are more, but this is sufficient to make the point. Wesley's catholic spirit included certain characteristics for one's heart to be right and it excluded a completely emotivist approach to doctrine and ethics where nothing else matters but one's feelings. There are those who may reject Wesley's understanding of the catholic spirit, and that is fair enough, but it is high time to quit proof-texting the founder of Methodism to advance certain contemporary agendas. That's nothing more than modernism dressed up in Wesleyan clothes. John Wesley was not just concerned about a heart that was strangely warmed, but one that was right in character, belief, and action. "a completely emotivist approach to doctrine and ethics where nothing else matters but one's feelings." Is this your genuine opinion of those who hold a different view of scripture than you do? It hurts when someone misinterprets your behavior. Please take a step back and consider that perhaps sentences like your above do nothing to persuade those whom you wish to reconcile to God, but merely alienate and insult. In fact, it feels a bit like when I say, "I cannot believe that you would let your bigotry blind you so clearly to the rigorous scholarship, communal discernment, and lifetimes of pious holiness that are essential to those who hold such positions." But I don't think you ARE bigoted. And definitely not intentionally so. I think you are passionate, and caring and really, really trying to call the church to be obedient to the one source of truth, one which had given you the only hope any human needs. So I'm going to simply beg that you reconsider that we too are passionate, and faithful, and have read our Bibles until they are literally threadbare, and prayed and live lives of pursing the one truth that matters - God's love for humanity, and invitation to be more like God. A God whom I understand to bring in outsides, rebuke us for injustice, demand that we love our neighbors are ourselves, pursue lives of chastity and gentleness, and whose perfection is such that I could never be worthy if I were to attempt all these things each and every day, but in whom I become clean through an incredible sacrifice. We clearly agree upon more than we disagree. Why are you trying to ensure that I know I'm not welcome in your understanding of the Body of Christ? First, the statement I make that you object to is unfortunately true of many in the UMC. It may not apply to you and to others, no claim ever does; but I have heard such things time and time again in my 31 years as a pastor. Second, my only objection in this post is how two statements Wesley makes in particular in his sermon have been so misused to suggest that when it comes to doctrine and ethics, Methodists have a "think and let think" attitude. When one reads the sermon in its entire context, it is clear that Wesley does not mean what more than a few think he means. Such a viewpoint is not Wesleyan; it is modernist and emotivist. Third, I find it interesting that you bring up the point of bigotry only to say you don't think I am bigoted. I take that as a passive aggressive way of suggest I might possibly be a bigot. It's these kinds of things that have always made me hesitant to jump into the fray. Fourth, I never said you are unwelcome... again it's this kind of stuff that shuts off discussion. The minute the unwelcome card is played, those of differing viewpoints stop talking-- after all, who wants to be a bigot and inhospitable? BTW, you don't even know what my views are on particular matters. The only point of this post was to make the case that Wesley's catholic spirit is not an affirmation of theological and ethical indifference. I plead guilty to your charge of misinterpretation in this area. In fact, coming from a heavily doctrinaire denomination to the UMC, such latitudinarianism was an attractive element. However, I never quite took it to the degree of "nose nose anything goes". 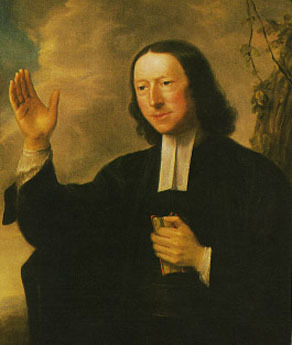 I took it more in the spirit that Wesley could look at Whitefield as a brother in the faith though they bitterly disagreed on Calvinism. I think the Wesley/Whitefield example is a good one in reference to non-essentials. What one believes about predestination does not strike at the root of Christianity, though it is true that Calvin's understanding of it made Wesley bristle.